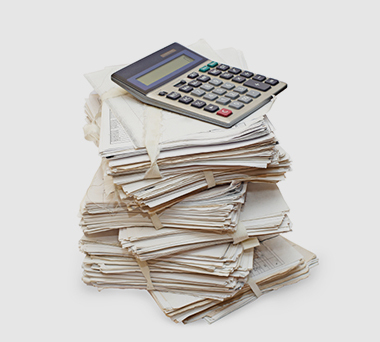 Bookkeeping is not a steady day-to-day need for most businesses. Thanks to technology, bookkeeping services can now be outsourced for maximum efficiency, accuracy, and cost savings. Having a full-time bookkeeper in your office taking space, salary, payroll taxes, and benefits from your bottom line is not always cost effective. REMOTE Bookkeeping Solutions accounting, reconciliation, and payroll services are designed to help you focus on more important things, such as growing your business. We provide you with those services at a reasonable, fixed monthly cost. Accurate, reliable bookkeeping is just a click away! We perform trusted accounting services at costs well below those of maintaining a full-time clerk on staff. To get started just send us certain key documents (via mail, email or fax) and we do the rest. We will review your needs, systems and locations to find the best solution and pricing format for you. We are there for you at the click of a button or a phone call away. We even provide year-end tax worksheets to your accountant to save you even more money. Specializing in the title industry our staff has over 50 years of accumulated experience working with underwriters and title agents. Our expertise with auditing for underwriters will help you get your books in perfect balance for your next review. We can even handle remittance reporting directly to your underwriter. Contact us to discuss how our services can save you time and money today!